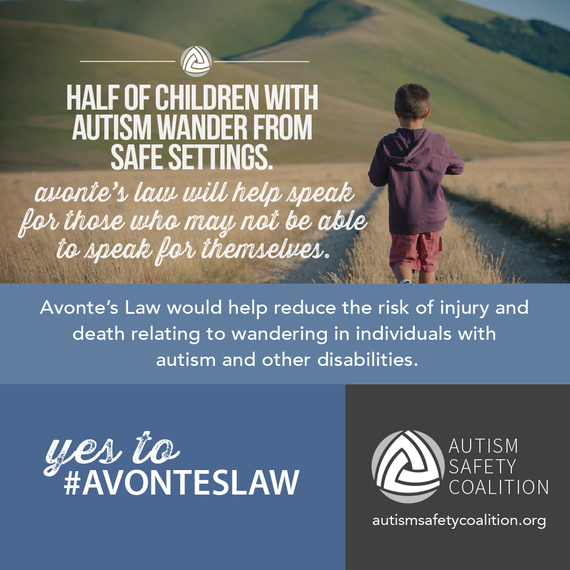 Between the tragic losses of Avonte Oquendo in 2013 and Omarion Humphrey this week, we have lost far too many autistic children and adults in wandering related tragedies. Stay at home mom of 3, my interests include special education, advocating, animals, reading, politics and music. On October 4th, 2013, Avonte Oquendo, an autistic 14-year-old boy, wandered away from his class at Riverview School in Long Island. Avonte ran past a distracted school security guard, unnoticed and out a door that had been carelessly left open, undetected. He was last seen alive on a school security camera running down a sidewalk and disappearing across the street. Tragically Avonte's body was found several months later in January of 2014 on the shore of the East River. On July 4th, 2015, Omarion Humphrey, an autistic 9-year-old boy, went missing while visiting Abernathy Park in Davison Township Michigan with his foster family. His body was recovered six days later from Lake Callis near the park where he was last seen. 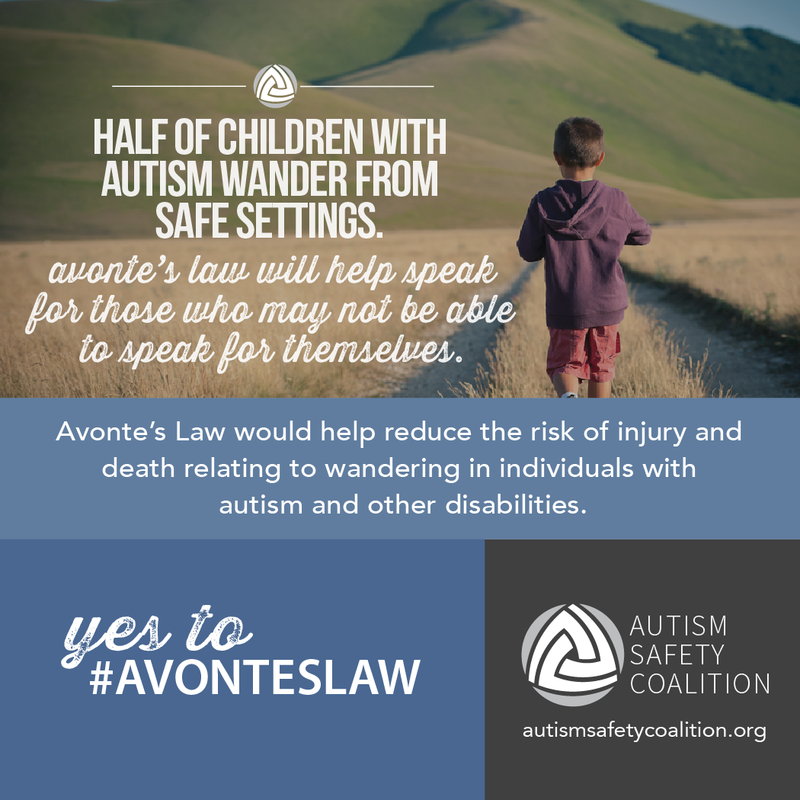 Between the tragic losses of Avonte Oquendo in 2013 and Omarion Humphrey this week, we have lost far too many autistic children and adults in wandering related tragedies. According to the recent media reports that I could locate on wandering related deaths in 2015 the world lost; Timothy W. 9, Jaquarious K. 18, Brian G 20, Carter K. 4, Michael B. 5, Jessy H 26, Jayden H 6, James E 15, Kaden L 8, Kobe L 5, Rayyan S 7, Adam E 5, unnamed boy 6, Jahmaine R 5. Jason Sims age 15 and Jesus Alex Guzman 18 are still listed as missing. These children are our children, and this could happen to any one of our own in the blink of an eye. We must be proactive and vigilant in reducing the risk of wandering within our homes, schools and communities. According to Wendy Fournier, President of the National Autism Association (NAA), most wandering behavior is a form of communication and typically occurs for one of two reasons. The child is either trying to get to something, or get away from something. Things like loud noises or bright lights could trigger a fight or flight response causing them to flee an uncomfortable situation, or they may wander to explore something of interest such as a park or swimming pool. Here are the four steps you should take right now to prevent and prepare for wandering. 3. Contact your state senators tell them to say yes to S: 163 Avonte's Law. This can be done quickly and easily by visiting the Autism Safety Coalition website's take action center here. Discuss these talking points with your representative. 4. 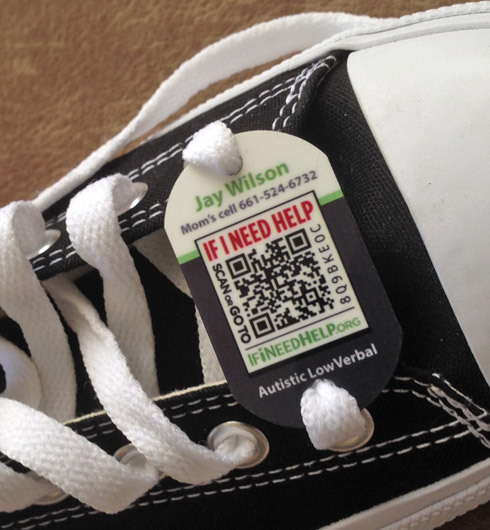 Visit If I Need Help here, a non-profit organization dedicated to the identification and recovery of individuals unable to communicate in the event they go missing. We must take action today as individuals and as a country to better protect those who cannot protect themselves. I urge all of you to take immediate measures to safeguard your home and community to reduce the risk of wandering. It is crucial everyone gets involved even if you are not a parent, grandparent or caretaker of an individual with a disability. Neighbors, friend's, teachers, first responders and community members I ask you to be an ally, please stand with us and speak for them. Discuss wandering prevention in your community, share the resources provided and please contact your senators. We cannot do this alone and this cannot happen without all of us working together. I would like to thank Wendy Fournier NAA President, Erin Wilson Founder of If I Need Help, The Autism Safety Coalition and The AWAARE Collaboration for the use of their information and images.